Minister for Labour and Employment, Chris Ngige has dismissed reports that the Federal Government was planning to increase the monthly allowance for youth corps members. Rumours had been rife weeks ago that the Federal Government was planning to increase the monthly allowance from N19,800 to N50,000, but Ngige said there’s no truth in the story. He said in a press briefing in Anambra that the Federal Government wouldn’t increase the allowance of corps members without first coming out with a minimum wage for the Nigerian workers. “No recommendation has come to the Federal Executive Council on this. The NYSC pay is on the sliding scale; the same sliding scale with the national minimum wage except that there is a top up; what is called top up on the national minimum wage is to make for special transport allowance for members of the NYSC,” he said. “That is why today, the national minimum wage is N18,000, and the top up for NYSC members is about N1,500 making it N19,500. 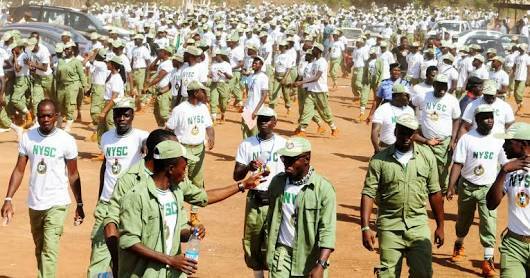 This is what the Federal Government pays each corps member. “For now, there is no figure before us as an increment and as a matter of fact, the last Federal Executive Council had mandated the Minister of Youths and Sports to liaise with the Director General of the NYSC so that he can be brought on board for us to work as a team,” the minister further stated.